What three adjectives best describe your wedding? Elegant, natural, hot!! What inspired your personal wedding style, and how did you incorporate your personalities into your big day? We wanted our guests to be comfortable and relaxed because as a couple, that is how we are! We both felt that having the event outdoor accessible would enable our guests to move around and be comfortable during both the ceremony and reception. We also wanted the event to have an understated elegance (not too fussy). We feel we achieved this by having romantic but simple floral arrangements on the tables, along with pearl favor boxes and pearl napkin rings. The use of pearls was inspired by the my dress; we thought the sheen and luster of the satin matched that of the pearls so they were a great way to incorporate the dress into the reception setting. Lastly, since Matthias and his friends and family are from Germany, we wanted to celebrate both of our cultures. In Germany, it is not legal to marry outside, so having the ceremony outdoors was something totally new for the German guests. We ended the evening with some games and the distribution of the wedding magazine, which is customary in Germany. All were a big hit with guests, both American and German! Looking back, what are the moments, decisions or memories that you love the most about your wedding? Even though the day was uncharacteristically hot for May in Michigan, we love that the ceremony was outdoors. It was such a beautiful setting and the heat certainly made it memorable for us and our guests! The reception was so much fun, especially during the last hour when the German guests took over the music. Everyone was dancing to German party music and loving it. Even I was surprised at how enthusiastically my American friends and family embraced it! A significant portion of our guests, about 70%, traveled from out of state or country to come to the event. The day was so much more special because they all came. It was the first time Matthias parents came to America. We are really so blessed to have friends and family who wanted to come support us on such an important day. My personal favorite memory and moment… I had not planned to wear a necklace that day (thus the big earrings), but a few moments before we left the hotel for the wedding, Matthias sister-in-law gave me a pearl necklace that his mom had brought from Germany. It had been Matthias grandmother’s necklace and was over 80 years old. I decided to wear it. After the ceremony, in the first moments we had alone, I told Matthias that the necklace had been his grandmas and that I had no idea that his mom was bringing it for me to wear. He was just as surprised as I was, and his eyes started watering as he told me that he had memories of her wearing it. It truly touched me to see how the memory of his grandma was so special to him. By wearing her pearl necklace, she was still able to be a part of our day. Ceremony Venue: West Grounds of Wellers Inc. Bridal accessories: Earrings and bracelet BelleNouvelleDesigns on Etsy, pearl necklace was the grooms grandmother’s, hair flower from Brendasbridalveils on Etsy, veil by Elen Henderson. Thank you so much Erica and Matthias! To find more inspiration for your our personal wedding style, don’t miss our all new and gorgeous wedding image gallery! Beautiful photos by Jen Lynne Photography! All the vendors were wonderful! 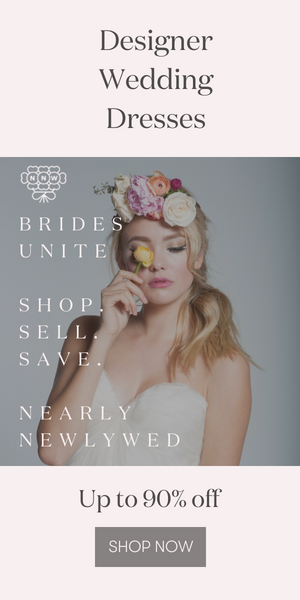 Thanks Junebug Weddings for featuring! I love when a couple’s wedding day style isn’t too matchy matchy, but beautifully complements each other. What a cute twosome! It was a lovely wedding. I wouldn’t have changed a thing, it only went so fast. Thankfully we had a wonderful photographer to capture every special moment… She even created a few. Thank you to Jen and all who came to share. OMG! She’s so gorgeous, and the BM’s also. The cake, centerpiece, the flower. Everything is looking great! The atricle and photos are great! Erica and Mattias really did create the perfect casual-elegant wedding. They included all generations and traditions and made everyone feel welcome. It was a heartwarming occasion! What struck me the most when I looked at the pictures was that everybody really seemed to be enjoying themselves. The love and joy the couple share between themselves and their friends and families was obvious and captured beautifully by the photographer.